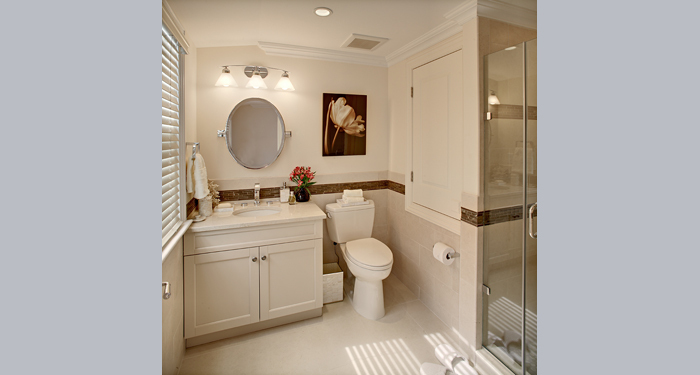 BHR is a bathroom remodeling firm that specializes in bathroom design and bathroom renovation. As a purveyor of elegant bathroom vanities and fixtures, we provide one-stop shopping for all your bathroom remodeling needs. Our experienced team will help you with design ideas and layouts as well as selection of your new vanity, cabinetry, and fixtures. Whether your goal is a luxurious bathroom makeover or small bathroom facelift, BHR Home Remodeling and Interior Design will design and deliver a bathroom that provides comfort and updated style. Our bathroom design professionals will help you wade through the numerous choices to match your taste, lifestyle, and budget: elegant granite, Caesar Stone’s quartz surface or marble sink tops; beautiful bathroom cabinets; single or double bathroom vanities; ceramic wall tiling and stone flooring; whirlpool tub, air tub, or soaking tub. Give us the opportunity to create the extraordinary for you; contact us at (908) 273-9011 for a free consultation with our team to discuss design ideas for your new bathroom. We’re conveniently located in downtown Summit, New Jersey. Space planning to assess feasibility of the proposed new design plan. Compliance with local zoning and building code requirements. AutoCAD plans, elevations, dimensions, notes, and specifications necessary for construction. Review of specific client requirements to establish a design plan. Budgets are monitored on an ongoing basis to ensure that the project remains on plan. At BHR Home Remodeling our guiding philosophy is that “a great design is in the details” and that every project starts with a great design plan. Through many conversations with our clients, we gain a thorough understanding of their personal style, needs, and constraints. From this in-depth knowledge, we conceive and create a space that fulfills the client’s vision and expectations. 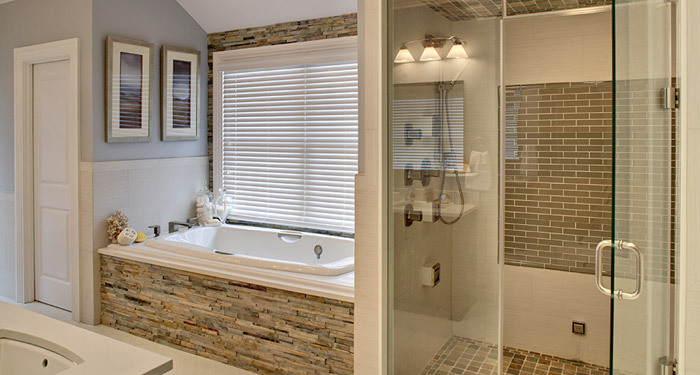 The plan is the cornerstone of your bathroom renovation. Because each space presents different limitations or challenges, we thoughtfully explore every possibility to produce a final plan that fulfills your bathroom’s full potential. The number of sinks, the type of tub, determining whether the room can accommodate a separate water closet or separate shower stall—and how large of one—are all part of the planning process. Once a plan is finalized, we take the time to go over every aspect with our contractor to ensure we are all in synch. 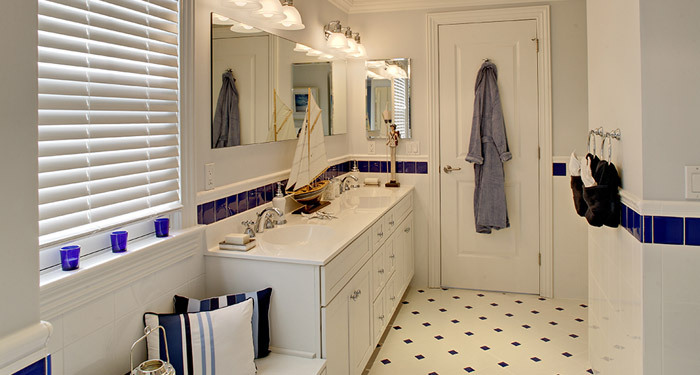 The inspiration for your bathroom’s remodel or for your new bathroom can come from many places—a magazine picture, a favorite color, a collection or treasured heirloom, even a vacation spot and the feeling it evokes. As the designers, our job is to listen to your ideas and seamlessly integrate, edit, and clarify what you want into a cohesive design. 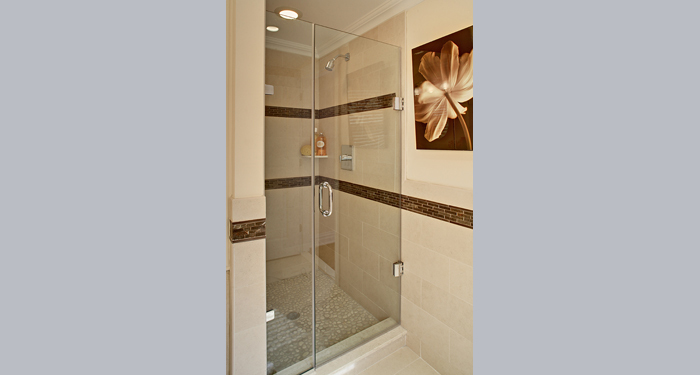 Each of our bathroom remodeling projects is as individual as the owner because it begins with the client. The materials, fixtures, and colors chosen ultimately reflect your personal preferences, including custom and semi-custom bathroom cabinetry, a specialty of BHR Home Remodel and Interior Design. Once you’ve approved the plan and materials, it’s time to place your orders. Critical to the success of the project, we oversee the accurate and timely ordering and delivery of the materials–cabinets, tiles, fixtures, stone and lighting. That way, when our contractor needs them, the materials are on site and available. 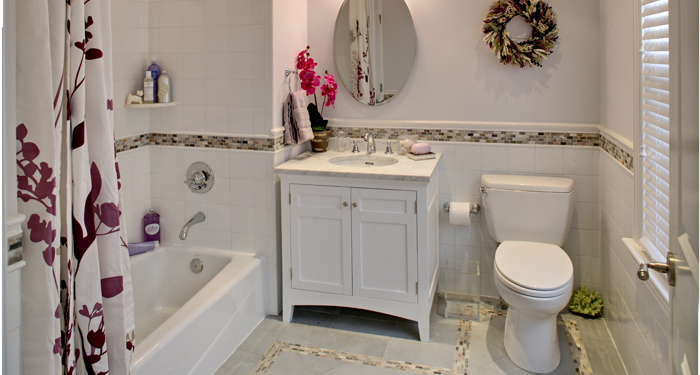 A new bathroom remodel is one of the most rewarding projects for a homeowner. It is also one of the most challenging. At BHR Home Remodeling & Interior Design, our goal is to help you efficiently navigate this process and avoid the pitfalls. Dust, exposed wires, partially painted walls, and more dust—these are all part of turning your renovation or construction dreams into reality. A well thought-out plan is essential in keeping this stage of the renovation as brief as possible. We coordinate closely with our contractors and subcontractors throughout the construction phase to ensure that every aspect and detail of the plan is clearly communicated and performed efficiently. Our project manager will email a schedule outline to our clients. The work schedule identifies each trade specialist and time line for his work. This equips clients with a clear vision of who will be in their homes and when. We also send a progress email that provides a time frame for anticipated completion so our clients know what to anticipate. Call for a free consultation with our team to discuss design ideas for your new bathroom. Give us the opportunity to create the extraordinary for you. Contact us at (908) 273-9011 to set up an appointment.